In the coming months China will lend Venezuela, which faces bankruptcy, ten billion dollars. These funds are part of a bilateral agreement. For China it’s a way to quench its energy needs, while the US continue the confrontation line with Venezuela. Venezuela is under the threat of soverign default. In providing two five-billion dollar loans, China has become an important partner for the struggling country. The first part of the loan is the joint Chinese-Venezuelan Fund, and will be directed into major projects, CNBC reported. The agreement will be signed later this month. China extended the terms of the loan to five years, giving Venezuela more breathing room, as the terms are typically limited to three years. The second part of the loan will be used in the oil industry. China will support investments in oil fields, intended to help Venezuelan oil company PDVSA increase production, the official said. 96 percent of Venezuela’s foreign exchange revenue comes from the export of raw materials. 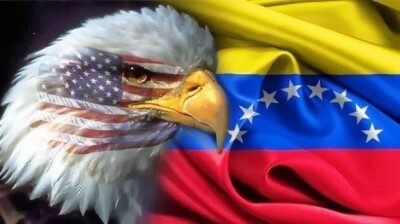 In March Obama called Venezuela a threat to the US national security. Domestically Venezuela is well under pressure. There were regularly scheduled demonstrations against the government of the country last year. In February 2015, a 14-year-old died in protests. Last week there were protests in Caracas again. Venezuela is extremely lucrative for China’s investment interests. This is the country with the highest oil reserves in general, and China’s energy demand will increase with the increasing rural-urban migration in the coming years. China has already given Venezuela $45 billion in exchange for oil and fuel. With the new loans for Venezuela, China finds itself in opposition to the United States. It was only in February that China promised loans to Russia to support Moscow in a similar fashion.